Coregas recently partnered with Hyundai to bring their newest hydrogen-powered concept car to life. The Hyundai ix35 Fuel Cell is powered by Coregas hydrogen. We worked closely alongside Hyundai and other partners to provide a refuelling station at Hyundai’s Australian headquarters in New South Wales. Coregas supplies high purity compressed hydrogen to the refueling station, which is a hydrogen storage and dispensing system. When mixed with air the hydrogen burns 'clean' leaving only water, reducing the environmental impact of hydrogen-powered vehicles. The first of many small steps in accelerating the use of hydrogen and fuel cell technologies for transportation in Australia. 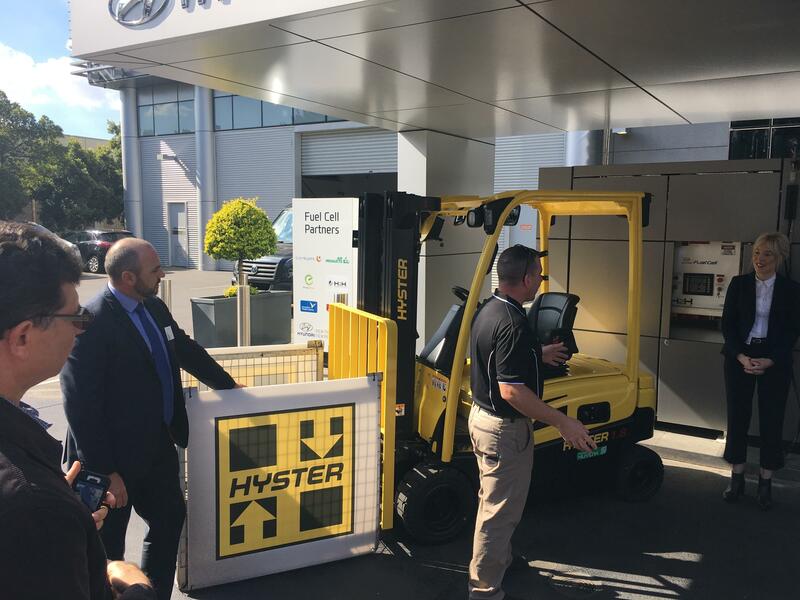 Another milestone for hydrogen in Australia, with the launch of the first fuel cell forklift in the country by Hydrogen Mobility Australia and the Hyster-Yale Group. Members from Hydrogen Mobility Australia and broader industry celebrated the next step of hydrogen and fuel cell technologies at Hyundai headquaters. Coregas is a proud partner of Hydrogen Mobility and looks forward to contributing to a future of clean energy in Australia.